Capturing videos with Smartphones can be a lot of fun because it enables us to record amazing moments we shared with people we care about. However, a small mistake, like holding your phone vertically while recording can ruin a video of a perfect moment because the video will be vertically oriented and it will have black bars on both sides. In this article, we will show you how to fix this issue easily and we will also recommend the software that will enable you to accomplish this task. 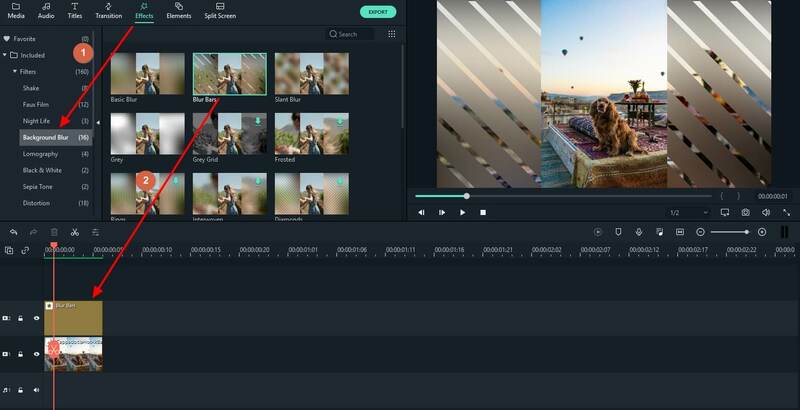 Both PC and Mac owners will enjoy using Filmora because this video editing software doesn't require you to be a video editing professional and yet it provides the video editing tools to create videos that will charm your followers on social media. 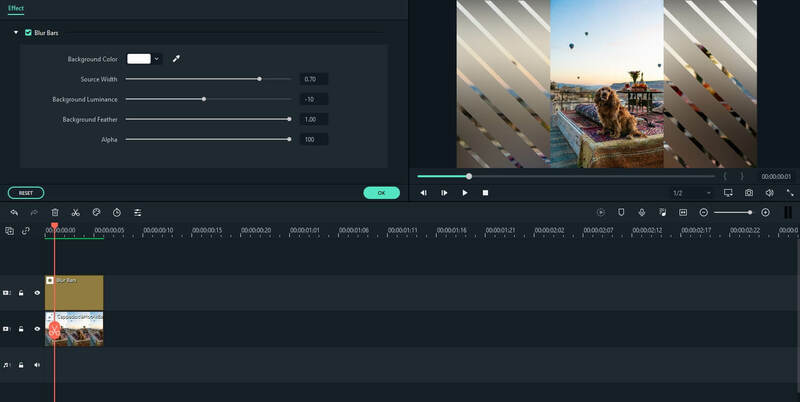 Its users can trim or cut their videos effortlessly, but Wondershare Filmora9 (Latest version 9) provides much more since its huge library of visual effects or its advanced features like Overlays enables inexperienced video editors to create any style of video they want. There are several different ways to blur the background of a video in Filmora and in this article we will show you the fastest and the simplest way to add blur to the background of your vertically oriented video. 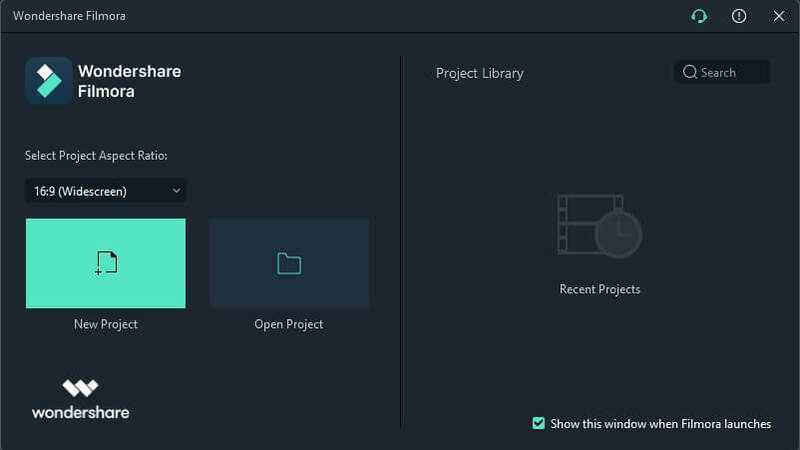 If you already have Filmora installed on your computer, double-click on its desktop icon, and choose "New Project" to enter the main editing interface. Once you are in the editor, click on the Import menu and select Import Media Files feature. Drag and drop the video clip you want to edit on the Filmora's timeline, and then click on the Effects panel. Select the "Background Blur" category and proceed to select the blur effect you like the most. Filters such as Diamonds, Mosaic or Grey will create a bright and visually pleasing background for your portrait video. After you've applied the background blur effect to your video clip you adjust the blur level by double-clicking on the blur effect in timeline. You can change the background color, the source width, luminance, scale level, Alpha for the blurry background. It is hard to think of any video editing task that cannot be accomplished with this professional video editing software. Blurring the background of vertically oriented videos in the Adobe's video editing software is a relatively simple process, but it still requires a considerable amount of video editing skills. Furthermore, non-professional video editors may find Adobe Premiere Pro too expensive, since the license to use this software costs $19,99 per month. Although Movavi video editing software isn't as popular as Adobe Premiere Pro, it can still be used effectively to blur the background of a portrait video. This feature-rich video editor equips its users with all the tools they might need during the post-production process, but if you are looking for a more professional video editor, Filmora or Premiere Pro are a much better choice. Movavi video editing suite is available for Mac and PC. Over the course of the past few decades, Sony Vegas Pro has been recognized as one of the most powerful video editing programs ever created. Therefore, it comes as no surprise that blurring a background of a vertically oriented video with this video editor is a fast and simple process that demands a minimum amount of time and effort. Sony Vegas Pro also offers a lot of different options that enable its users to edit their videos professionally. PowerDirector is without question among the best video editing programs currently available on the market and removing the black bars from a vertically oriented video doesn't require you to be a seasoned video editing professional. A plethora of blur effects can be easily applied to the background of a video, while other options provided by PowerDirector allow you to manipulate the footage in any way you want. This video editing software may be a bit expensive, but its users will certainly get their money's worth.